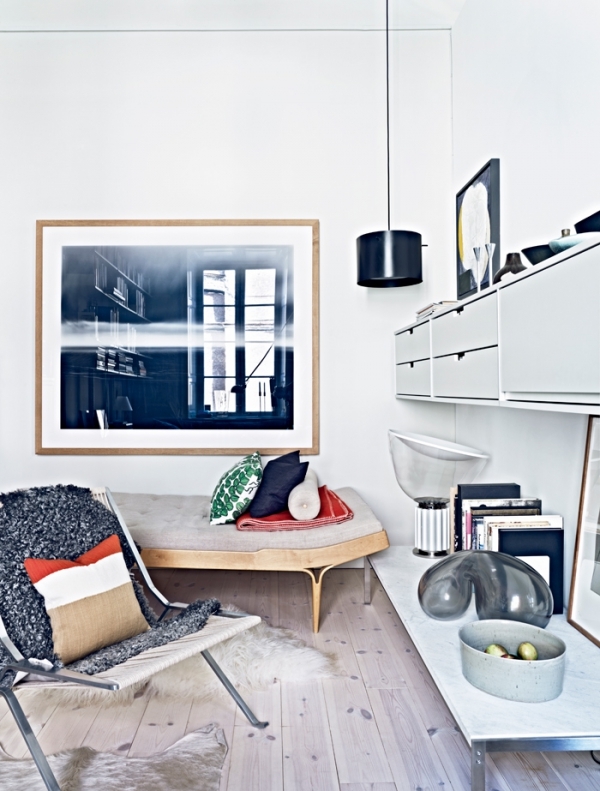 Photographer Jonas Ingerstedt is the lucky owner of this cool home, which is typical Scandinavian style with a few extras that add charm and character. Light and airy the apartment has an eclectic mix of furniture pieces and some rather interesting artwork. 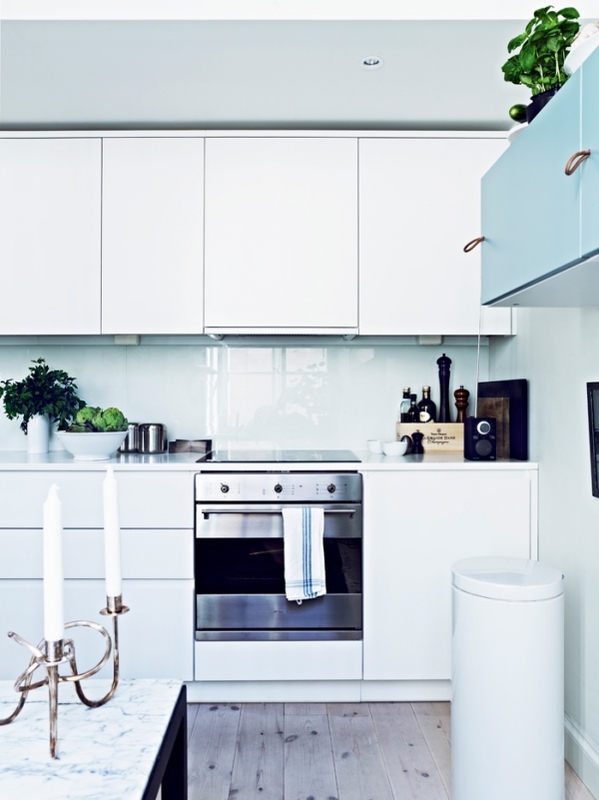 The kitchen has a range of modern units and appliances that are mainly in white, with the addition of a beautiful duck egg blue finish on some of the wall cabinets, which have also been altered and had new leather handles added. 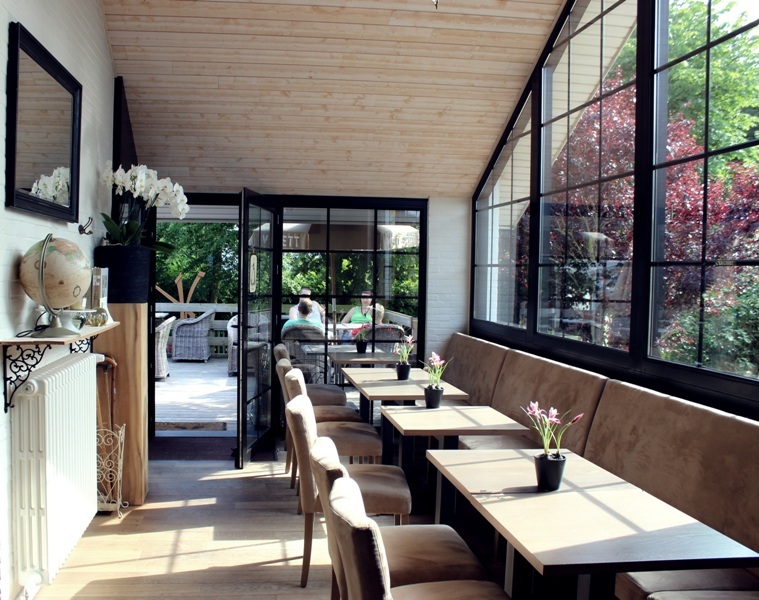 The dining area is full of natural light from the large windows which can be seen in each room. 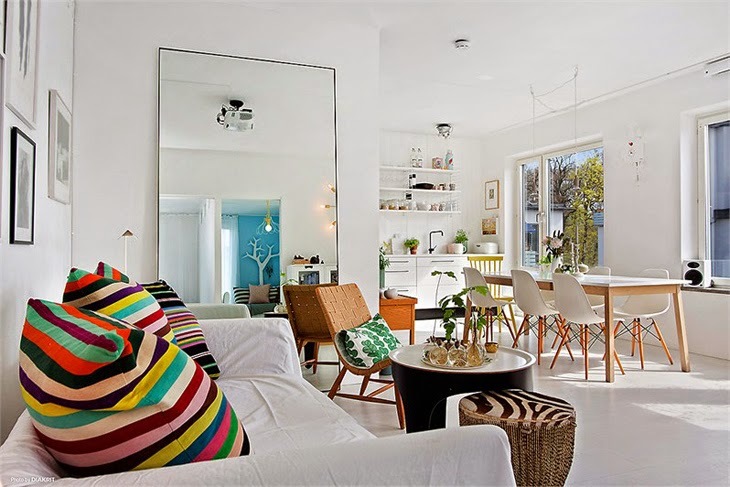 The living area is relaxing and calm, throws and cushions bring extra color to the room and make it appear more homely. The wooden floors are a wonderful pale, whitewashed color broken up by multiple rugs in various places throughout the home. Wall shelving holds personal items and frames a small area that could be used as a home office. Throws of different fabrics can be seen around this cool home and they add a soft touch to the interior design scheme. This cool home shows exactly what can be done in a small space to make it the ideal place to be creative or enjoy life.